Are you a fan of television, or radio? Do you find yourself glued to the television every Monday at 9 p.m. to watch House M.D., or whatever show you watch? Have you found yourself glued to the radio every morning tuned into WEEI to listen to Planet Mikey? If you have found yourself interested in any aspect of the media industry such as television, or radio, check out the different classes CSB has to offer. 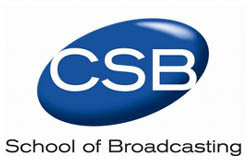 Going to CSB, one will be indulged in the field of radio, and television learning how to broadcast LIVE spots, edit segments, and use their creative side of their mind to produce news packages, and so forth. Being certified in Final Cut Pro at Burlington Cable Access Television for a little over year at the time, at the Connecticut School of Broadcasting I developed new skills that I will hold on to for the rest of my life. I not only developed new skills, and techniques of Final Cut Pro, but learnt how to be an anchor in the news room, and how to put together news packages in a certain time frame.